HALL OF FAME ROOKIE!!! Luis Ernesto Aparicio is a former professional baseball player from Venezuela. He played as a shortstop for 18 seasons from 1956 through 1973. 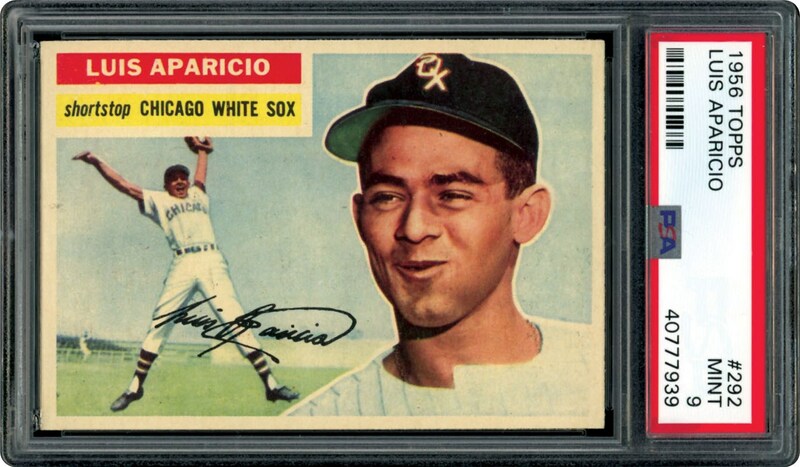 In 1956, Aparicio won the American League Rookie of the Year Award playing for the Chicago White Sox. Nicknamed "Little Louie", Aparicio was the dominant shortstop of his era and was inducted to the National Baseball Hall of Fame in 1984. A ten-time All-Star and a nine-time American League stolen base champion, he was nominated for the Major League Baseball All-Century Team in 1999. 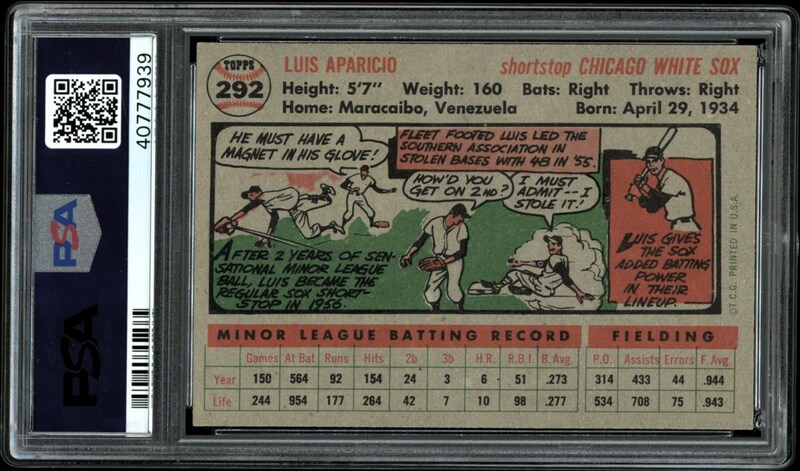 Just 2 cards grading higher than this MINT 9 of Luis Aparicio on his 1956 Topps Rookie card. Bordering a GEM MINT status, this one's as nice as we have ever seen in the 9 holder. Add this one to your collection.